The introduction of the Apprenticeship Levy is prompting major employers to find creative new ways to develop key staff at Master’s degree levels – building business and management capabilities on top of technical foundations. Recent graduate recruit at BAE Systems, Joel Fuentes Tobin, explains how the Postgraduate Engineer Apprenticeship with Cranfield University is enhancing his career potential and value to the organisation. “Between my 4th and 5th years of studying for a Master’s in Aeromechanical Engineering at the University of Strathclyde, I applied for a 12-week summer internship with BAE Systems at its Warton site. “You’re given a rating at the end of the internship, and if you’re able to achieve the top rating of five then you’re offered a place on the graduate scheme without the need to go through the standard recruitment process. I was lucky enough to be one of those people. “They’re very different types of qualification. My Master’s was mostly theoretical while the Level 7 Mastership I’m currently pursuing is more competency based. Like all engineers who’ve studied a postgraduate programme, I can do all the thinking in terms of thermodynamics and fluid mechanics – but that in itself doesn’t prepare you for managing complex projects with all the challenges around budgets and resource. “In other words, the Mastership with Cranfield University is more about equipping us for the industrial engineering approach, optimising the use of resources and results within a particular organisation, with its own set of goals and ambitions. 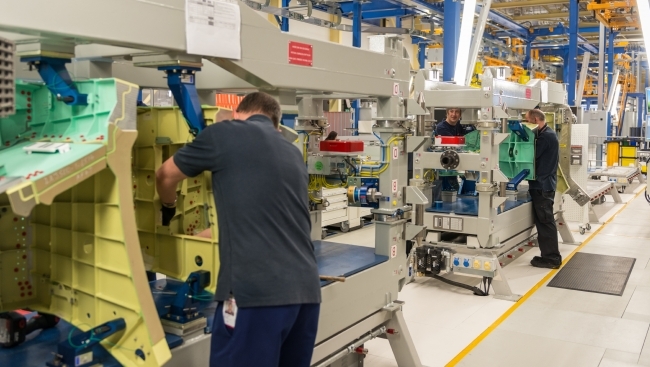 It takes a whole other approach to knowledge and skills development, BAE Systems is the trailblazer for the qualification and under the apprenticeship model, the content and assignments are made specific to the BAE Systems’ needs and challenges. “Project management is really important, as I believe all engineers will collaborate and contribute to the role of project management in the future so learning about the Prince 2 system has been invaluable. I can see it being fundamental in a whole range of roles for the future, so would definitely be worth investigating further. “The Mastership has been running since January, so we’re six months into the two-year part-time programme. During this time I’ve had a handful of roles. My previous role was on the test rigs which meant I had very little desk time while my current role involves lots of travelling between different partner universities and different BAE Systems sites, again with relatively little desk time. This means that during the initial stages I’ve needed to consciously set time aside to focus on studying, attending modules and completing assignments with the postgraduate study.I do expect this to change as I settle into managing the balance between my study and my day job and also when assignments begin to be related to more specific and live organisational projects that I’m working on. “All the modules are delivered online, so there’s no travel time needed and it means I can access the live sessions from wherever I am, and then catch-up ‘on-demand’. Sessions are interactive, you can ask the academics a question at any time and stay in touch with the rest of the group via instant messaging and the online forums. There’s also an assignment helpdesk. “What’s worked best of all is how the Mastership has brought us all together in a working environment. 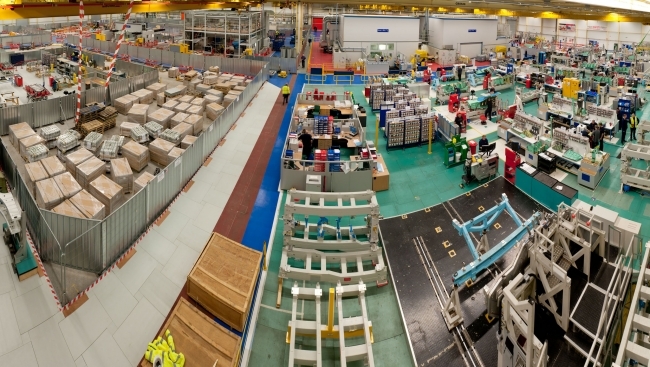 Many of the participants from BAE Systems are based at the Warton and Salmesbury sites, and after each module, we’ve tried to find a way to all get into the same room and collaborate on the topics and assignments before going our separate ways. It’s been good for building new relationships and for team working. This way we get together in a forum that benefits everyone.